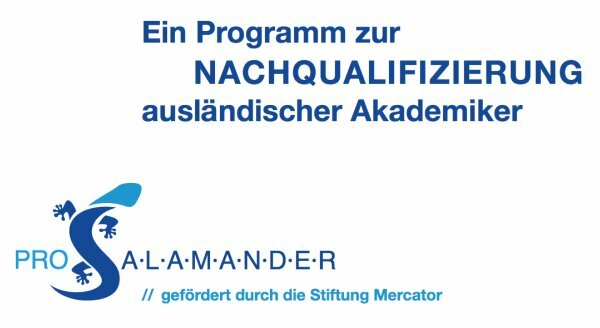 ProSALAMANDER (Programm zur Stärkung ausländischer Akademiker/innen durch Nachqualifizierung an den Universitäten Duisburg-Essen und Regensburg) is a new Programm financed by the Mercator foundation. The program has just started with the first students starting classes this week at the Universities of Duisburg-Essen and Regensburg. The program aims to help foreign professionals have their qualifications be accredited in Germany. For the professionals whose qualifications from their home countries aren’t accredited for whatever reason, this is their chance to get a “qualifier” in 12-18months depending on the study course. The program is a scholarship opportunities that will see these foreigners get €800 per month during their study courses.